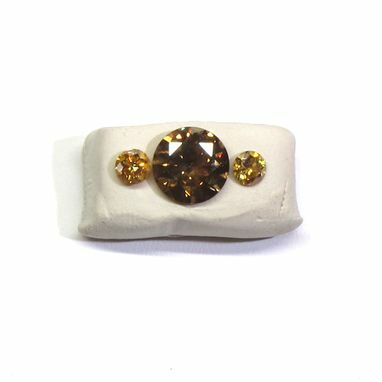 We Will Create Your Own Custom Ring In Your Size With These Fancy Deep Cognac Diamonds! 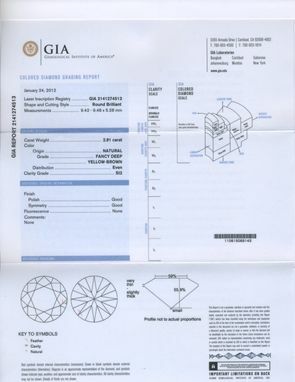 FJ-79 2.91ct fancy deep yellow brown, aka Cognac Round diamond GIA SI-2 report included. 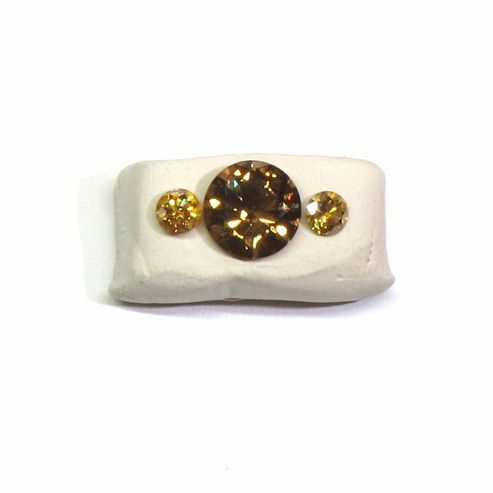 We have paired this stone with 2 Round orange yellow diamonds 0.8 ctw. We have these stones in our collection and would be happy to make up the ring for a man or women in the style and design you like. The three diamonds are $10,000. plus the setting of your choice. The cost of the setting mount is in addition to the cost of the diamonds. This can be a semi mount, custom cast or suitable to your budget and your needs and wants.